Imagine cutting perfect 2 1/2" strips quickly and accurately. This die has cutting blades that are 23" long and are open at both ends to allow cutting of fabric that is still folded as it comes off the bolt. There is no chance that the ruler will slip causing the strips to be uneven. 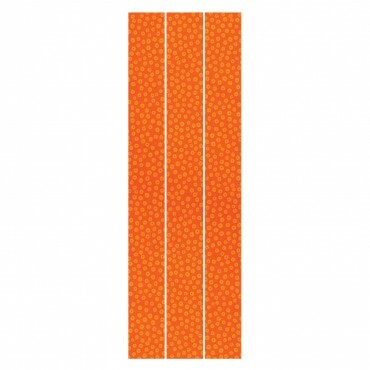 Use the cut strips for binding, sashing, borders and more. Die packaging includes project directions for a GO! Strips quilt.